Editor’s note: In this post for February’s Openness Edition, Juliano Spyer (@jasper) explains how he created a video logging (vlogging) survey that took on a life of its own within the YouTube vlogging community, and discusses how his research instrument became valuable not only for the himself, the researcher, but for the researched community. Juliano has invited us to respond to his initial post and to experiment with this exciting new survey form. 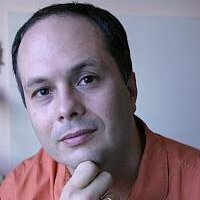 Juliano is a Brazilian ethnographer who is currently doing his PhD at University College London’s Anthropology Department where he is part of the Social Networking and Social Science Research Project. Check out other posts from the Openness Edition: Jenna Burrel’s ‘#GoOpenAccess for the Ethnography Matters Community‘ and Sarah Kendzior’s ‘On Legitimacy, Place and the Anthropology of the Internet‘. Think of a survey where the presence of the researcher is not required. Think of a questionnaire that is spontaneously answered and also recommended to others inside a network of friends and peers. Think of a situation where the research results do not go exclusively to the researcher, but remain within the researched community and operate as an archive of group knowledge. I have found that all this is possible through video tagging. In 2011, as I conducted an ethnographic study of YouTube beauty gurus, I learned that the vlogging community uses roughly two genres of videos: tutorials, which are step-by-step instructions on how to create a makeup look, and “video tags” or just “tags”, a more personal type of communication which consists of questionnaires created and circulated inside the community. The term “tag”, here, has at least two meanings: tag as the topic or subject of the questionnaire and tag as the action of inviting (“tagging”) your friends at the end of the questionnaire so they can also answer the questions and bring more people to participate. Levels of participation begin with watching and commenting, then answering tags created by others, then creating original tags.